Teaching myself one new knit stitch a week from the Complete Guide to Needlework book, c. 1979, and other sources. This stitch is from the Complete Guide to Needlework. 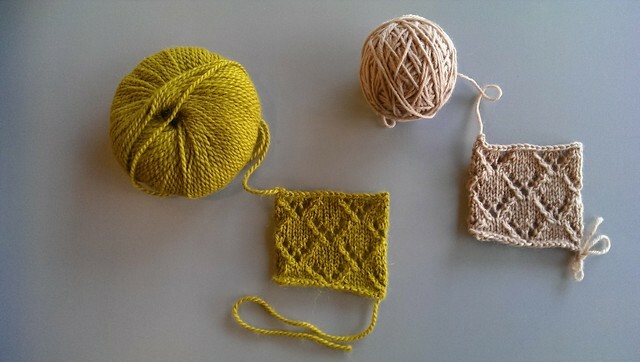 It's a pretty, fairly simple pattern that would look nice on a scarf or shawl.